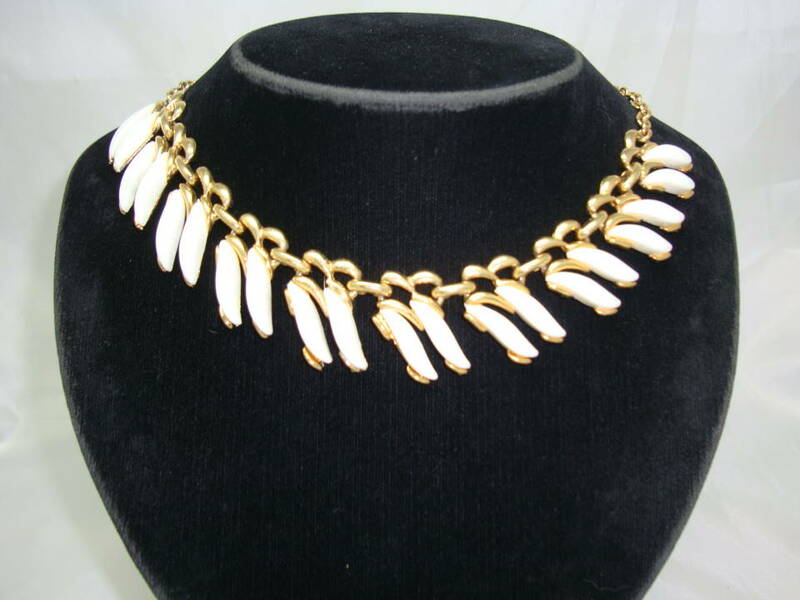 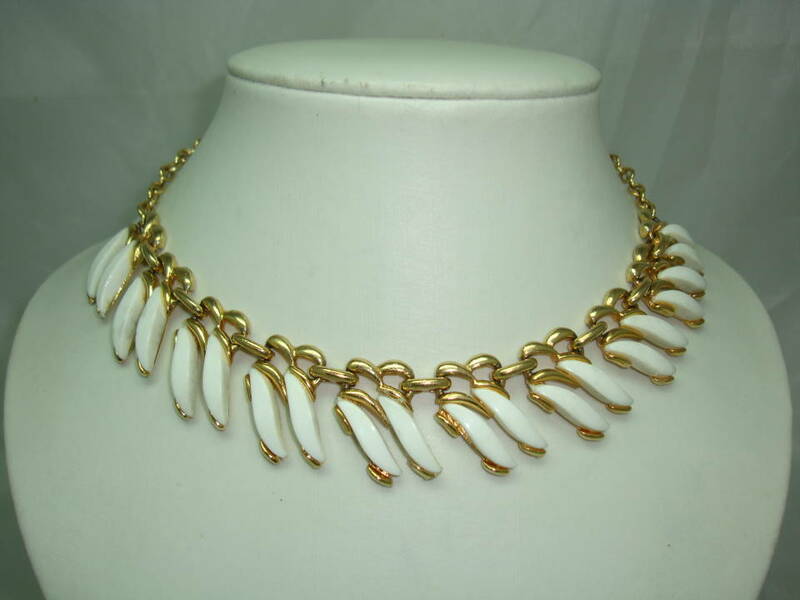 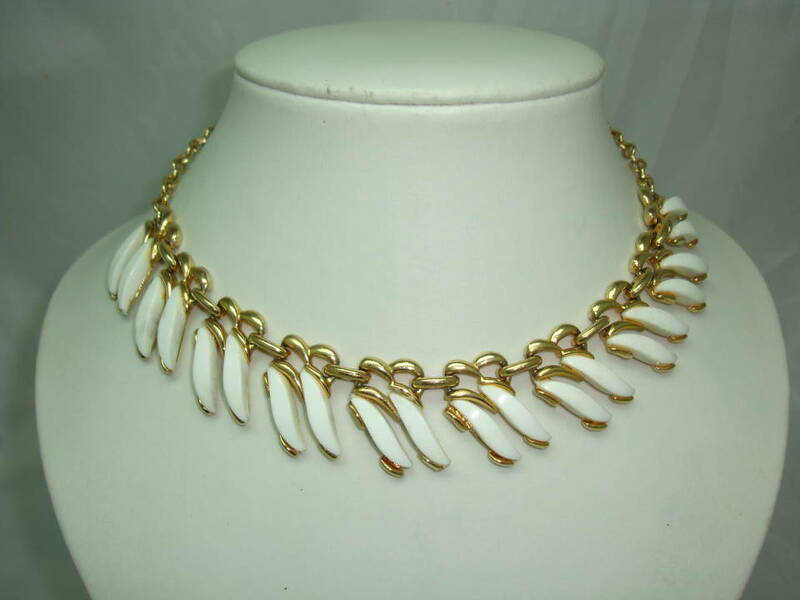 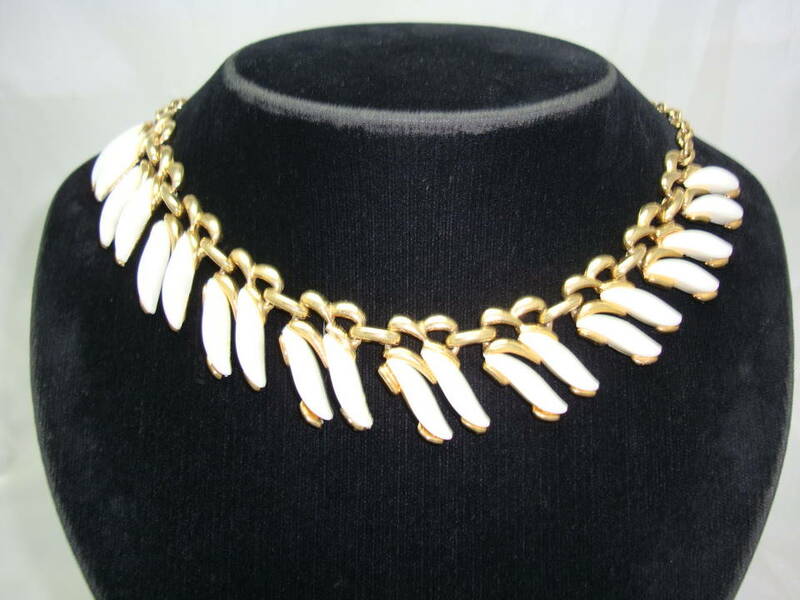 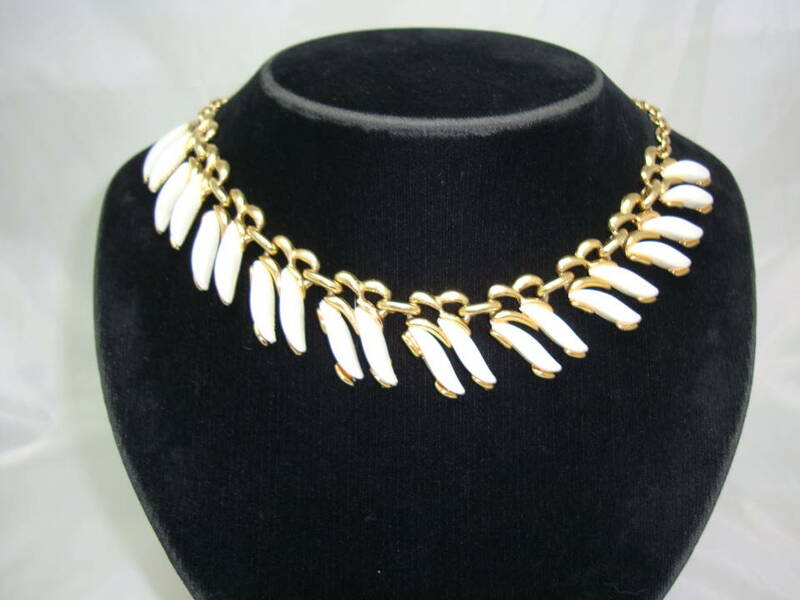 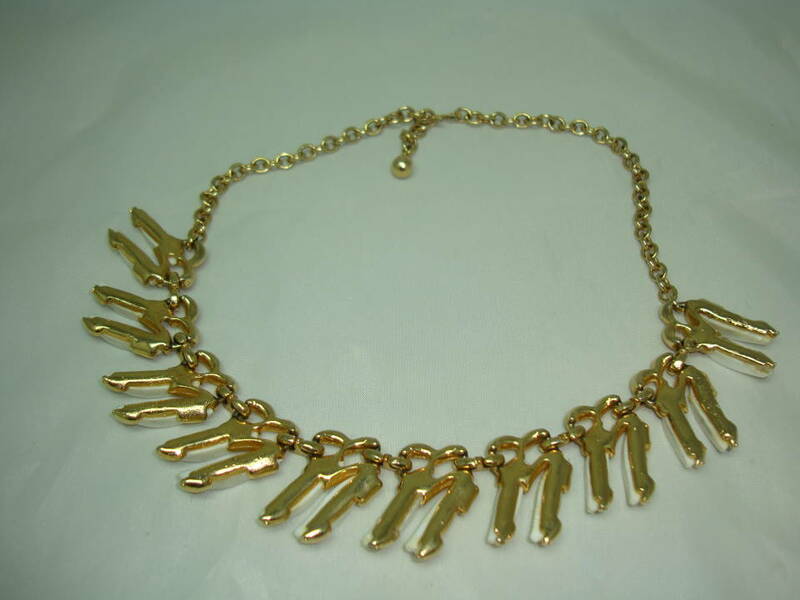 We are pleased to offer this lovely vintage 1950s goldtone necklace with white thermoset lucite insets in a leaf drop design. 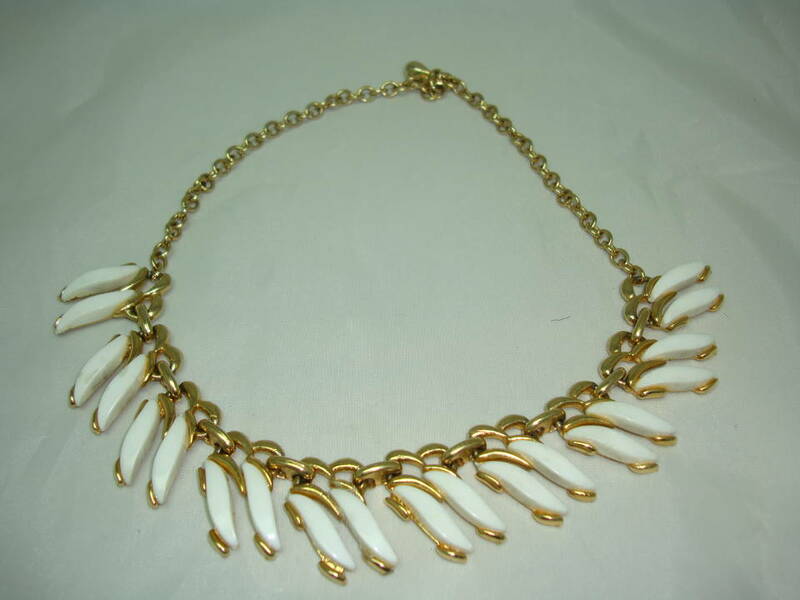 Excellent vintage condition, very well made, has a good weight to it, this is an unsigned Coro piece. 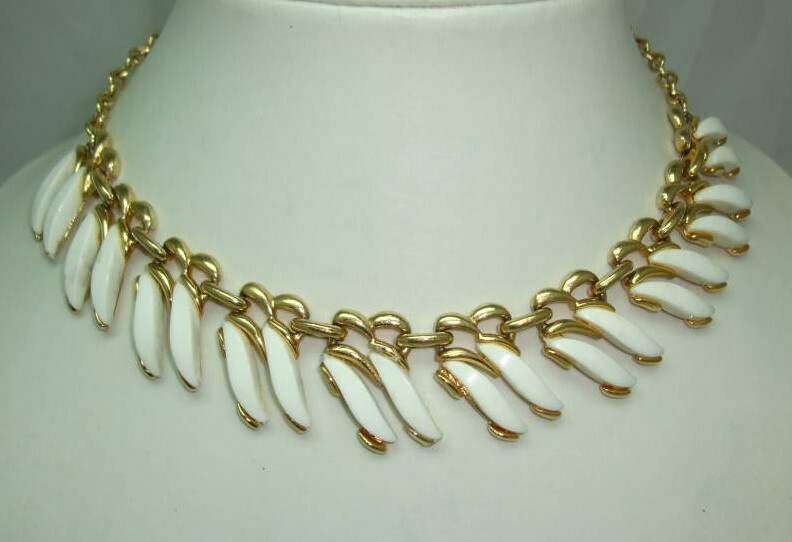 Looks really classy on, a great vintage piece.